Personal data is information that relates to an identified or identifiable natural person. It does not include anonymous data. When you create a TIP ID, request a trade credit, purchase a product, download a software update, register for a course at a TIP store, apply for a vacant job position at TIP, contact us or participate in an online survey or use certain other services or website features, we may collect personal data of you. TIP uses your personal data only for specific purposes. In the table below, you will find an overview of which personal data TIP collects from you, for which purposes we collect the data, on which legal grounds we process your personal data and how long we retain your personal data. Note that we may process your personal data for more than one lawful ground depending on the specific purpose for which we are using your data. We will only use your personal data for the purposes for which we collected it, unless we reasonably consider that we need to use it for another reason and that reason is compatible with the original purpose. If you wish to get an explanation as to how the processing for the new purpose is compatible with the original purpose, please contact us at dataprivacy@tipeurope.com. Your consent. Until you unsubscribe from the mailing list by updating your preferences. For our legitimate interests, namely to study how customers use our products/services, to develop and grow our business. Until you unsubscribe from the mailing list by updating your preferences. For our legitimate interests, namely to process job applications. Up to four weeks after your job application is finalized, unless you have given your consent to retain your personal data, in which case we may keep your personal data up to one year after your job application is finalized. We may use your personal data to send you marketing communications on our products, services and offers that may be relevant for you. You will receive marketing communications from us only if you have given your consent thereto or purchased goods or services from us and, in each case, you have not opted out of receiving marketing communications. You can ask us to stop sending you marketing messages at any time by following the opt-out links on any marketing message sent to you or by contacting us at info@tipeurope.com. We do not sell, trade, or otherwise transfer to outside parties your personal data unless we provide users with advance notice. This does not include website hosting partners and other parties who assist us in operating our website, conducting our business, or serving our users, so long as those parties agree to keep this information confidential. To the extent that these third parties process your personal data on our behalf, we ensure that we have data processing agreements in place. We may also release information when the release is appropriate to comply with the law, enforce our site policies, or protect ours or others’ rights, property or safety. We may also disclose your information if we believe it is necessary or appropriate in the context of national security, law enforcement or other matters of public interest. In addition, we disclose your information if we determine that it is reasonably necessary to enforce our terms and conditions or protect our operations or users. Moreover, we may in a reorganization, merger or sale, transfer any personal information we collect to the third party. TIP takes the security of your personal data very seriously. We have put in place appropriate security measures to prevent your personal data from being accidentally lost, used or accessed in an unauthorised way, altered or disclosed. In addition, we limit access to your personal data to those employees, agents, contractors and other third parties who have a business need to know. They will only process your personal data on our instructions and they are subject to a duty of confidentiality. Further, online Services from TIP such as the TIP Web Store and TIP Website or affiliated Web Store process your personal data securely during transmission with encryption such as TLS (Transport Layer Security). If your personal data is stored with TIP, we use computer systems with limited access in locations with physical security. TIP eServices data is stored in encrypted form, even if we have storage facilities of third parties. If some TIP products, services or programs use messages or post on a TIP forum, a chat room, or on a social network, the personal data and the content you share may be visible to and can be read, collected or used by other users. You are responsible for the personal data you share in this regard. For example, your name and e-mail address displays in a forum post, which information is public. Be extremely careful when using these functions. We communicate our privacy and security guidelines to all TIP employees and maintain strict privacy safeguards within the company to ensure the safety of your personal information. The right to request to correct erroneous data. You may also supplement any incomplete data we have, taking into account the purposes of the processing. you have objected to the processing, for the period in which TIP has to verify overriding legitimate grounds. The right to withdraw your consent if the processing of your personal data is based on your consent. You can exercise your rights by submitting a request through dataprivacy@tipeurope.com. TIP shall handle this request within one month after receiving the request, but we may extent this term with another two months. Children are not intended to be using or receiving TIP Technology Products or services. Therefore, we will not knowingly collect, use or disclose personal data from children under 16, or equivalent minimum in the relevant jurisdiction, without the explicit consent of the parent. If we discover that we have personal data of a child under 16, or equivalent minimum depending on the jurisdiction, without obtaining explicit parental consent, we will take the appropriate steps to delete this data as soon as possible. Children under 16, or equivalent minimum in the relevant jurisdiction, may not create a TIP ID. Should a parent wish to exercise their rights with regard to the processing of personal data of their children by TIP, they can contact us at: dataprivacy@tipeurope.com. We may store your personal data outside the European Economic Area (EEA). To the extent that we transfer and store personal data to a third country that does not provide an adequate level of protection, we will implement appropriate safeguards to protect the personal data. TIP abides by the CPVO system (Cross Border Privacy Rules) of the APEC (Asia- Pacific Economic Cooperation). The APEC CPVO-system provides guidance for organizations for the protection of personal data transferred between participating APEC economies. Analytic cookies As with most Internet services, certain information automatically collected and stored in log files. This includes IP addresses, browser type and language, Internet service, referral and exit pages and applications, operating system, date and time stamp, and clickstream data. We use this information to understand and analyze trends, administer the site, track the movements of users on the site, our products and improve services and to gather demographic information about our users in general. TIP may use this information for its marketing and advertising services. Pixel tags In our emails, we sometimes use a click-through URL to content on the TIP website. When customers click one of these URLs, they are led through a separate web server to the destination page on our website. We track this click-through data to determine your interest in particular topics and measure the effectiveness of our customer communications. If you have any objections against this, you should ensure that you do not click text or graphic links in e-mail messages. With pixel tags, we can e-mail messages in a readable format and you see if you open the e-mail. We may use this data to send or forward messages to customers. 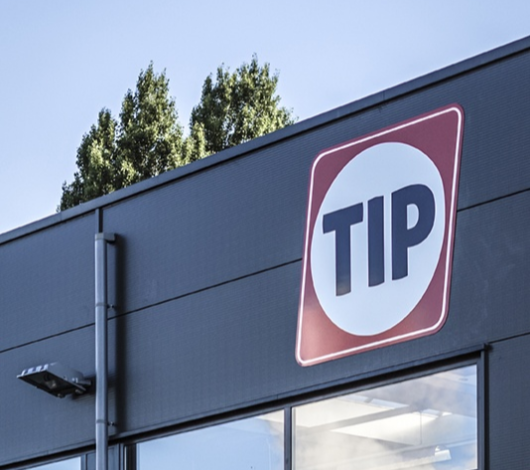 TIP and its partners and licensees may collect, use and share data on the precise location (including the real-time geographic location of your TIP Technology Product or device) of TIP products. If available, location services using GPS, Bluetooth and your IP address, along with crowd-sourced Wi-Fi hotspots and cell towers and other technologies are able to determine the location of your devices. Unless you give permission, this location data is collected anonymously in a form in which it is not possible to identify you personally and are used by TIP and our partners and licensees to provide and improve location products and services. For example, your device may share geographic location with the providers of programs when you subscribe to their location services. Some location services, including those offered through TIP eServices will only work if your personal data is available. If you have consented to the collection of your location data, you can at any time withdraw your consent to the collection, use, transfer, processing, and use of location data by TIP and its partners and licensees from any location services. Websites, products, applications and services of TIP may contain links to websites, products, and services from third parties. Our products and services may also use or offer products or services from third parties, such as a TIP Technology Product program from a third party. We do not control these third-party websites and are not responsible for their privacy policies. We recommend you to take notice of the privacy policies of these third parties. All your complaints are investigated and answered as soon as possible if any. You have the right to lodge a complaint with the relevant data protection authority. We would, however, appreciate the chance to deal with your concerns before you approach the data protection authority, so please contact us in the first instance.